If you're new to Andante or if it has been a while since you travelled with us, we wanted to share our top five reasons why you should book one of our tours... From the private access we can secure for our guests in destinations both famous and off-the-beaten track to the experts we hand-pick to work with us on the ground, we have something to entice any keen traveller. One of the things most people look for when using a company for the first time is reviews and recognition from outside sources. With Andante, you don't have to worry. Why? 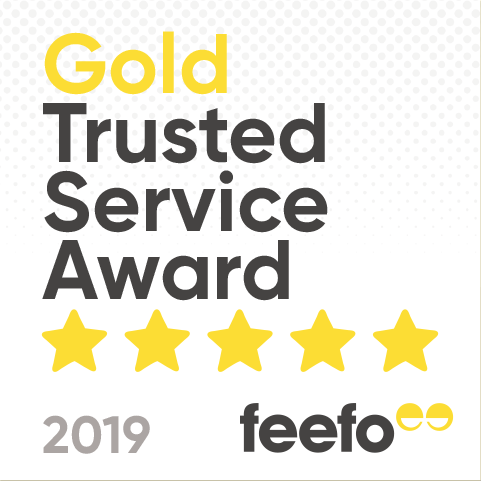 Well, just last year we won two British Travel Awards for Best Holiday Company to the Italian Peninsula and Best Special Interest Holiday Company, and we have just received Feefo's Gold Trusted Service Award. This new accolade was presented to us for our continued excellence in customer service. But don't take our word for it, click here now to read some recent reviews by our valued travellers. Sure, you could book yourself a tour of Rome and visit some of its iconic sites independently, but there's something about experiencing the world's most legendary sites in the company of a true expert that you simply can't beat. What could be better than stepping onto a working excavation site with an archaeologist who uncovered finds there? The impressive level of insight, personal stories and in-depth information to be enjoyed on an Andante Travels tour is so high because of the experts who accompany them. The opportunity to have your questions answered by someone who has extensive experience in the relevant field will add a new dynamic to an already fascinating holiday, and once you've travelled with an expert we're sure you'll want to do it again and again. Leading on from the last point, it's important for us to offer you things that can't be found elsewhere. When we travel, we want to make memories – and this is something we take into consideration when designing our itineraries. Our almost 35-year-old little black book allows us to secure incredible experiences in every part of the world, that are often otherwise closed to members of the public. We can lift the curtain on backstage areas of revered opera houses. We can invite you into museums after-hours. We can offer you handling sessions with ancient artefacts and hands-on experiences recreating traditional recipes with local people. These are all things you won't be able to organise yourself. One of the best things about travelling with Andante is the conviviality. Meeting likeminded people can be quite tricky at the best of times, but joining one of our group tours means that you'll get to enjoy a holiday in the company of individuals who share your interests. A recent survey conducted by Silver Travel Advisor showed that 48% of all people polled had taken a trip on their own at least four times over the last five years, and we take many solo travellers around the world with us. Whether you holiday alone or with other people, joining a group tour will maximise your opportunities for socialising, while adding a sense of fun, interest and inclusivity to your overall experience. There is nothing more disappointing than booking a trip and starting to prepare for it, only to find that it is later cancelled. Here at Andante, we've been working hard to guarantee as many of our departures as possible and over 80 tours (and counting!) are so far confirmed to go ahead as scheduled. We aim to cancel as few tours as possible, but in the unlikely event that your tour is withdrawn, we will provide you with a suitable alternative – or you'll of course have the option of a full refund. Tempted? Call our friendly team on 01722 713800 if you have any questions or want to book!